Lessons are drawn from Native American tradition, highlighting what can be gained from a focus on harmony. 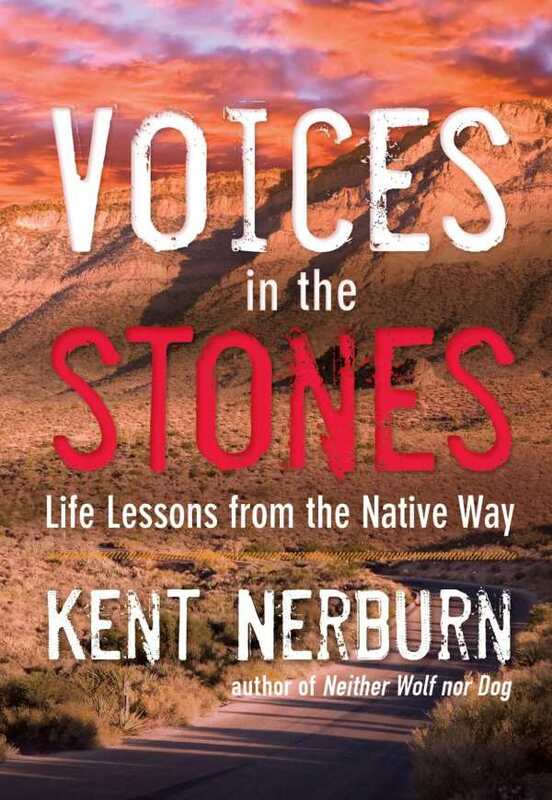 Kent Nerburn’s Voices in the Stones is a gorgeous meditation on the Native American way of being and of interacting with the world, with cultural wisdom that recognizes the interconnectedness of all things and the inherent value of living humbly. With the clear and patient voice of a teacher and spiritual guide, Nerburn juxtaposes the fundamental contrast between Native American traditions and the modern American way of life, and urges contemporary society to embrace their teachings. The book begins with a prologue entitled “The Unseen Journey,” a doleful and intense recitation of the systematic subjugation of native culture. Written in second-person point of view, the trauma is universalized to impeccable effect. In the four themed sections that follow, vivid, economical prose articulates the sagacity of spiritual customs that include respect for nature as a voice to heed, not a force to manipulate; honor for the old and young because they are closest to the creator; and veneration of the past as something to inherit, not to transcend. Prescient quotes from renowned Native American leaders and Nerburn’s personal anecdotes are layered throughout, giving the stories added perspective. Not necessarily a cautionary tale to chastise modern America, Voices in the Stones asserts that our national advancement has “left us bereft of humility in the face of our human limitations.” The lessons it presents, however, exemplify what present-day humanity can gain from understanding harmony.